Click here for sample verses from the version by Israel Itshakov. 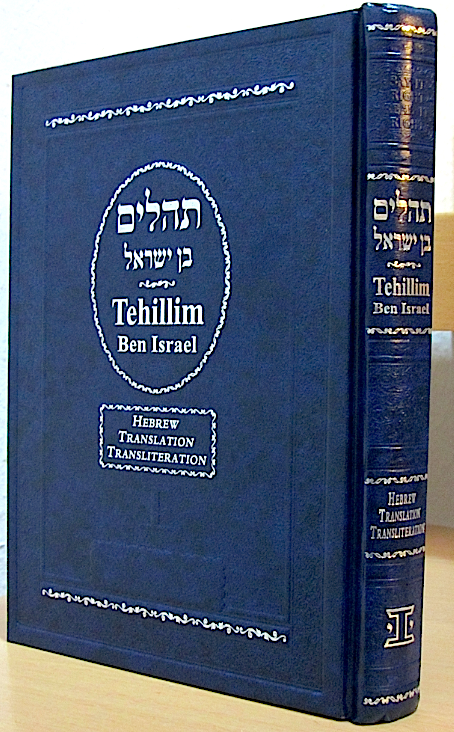 Contents: Tehillim - 5 Books of Psalms. Appendixes: Alef-Bet: The Hebrew Letters, Transliteration Key. 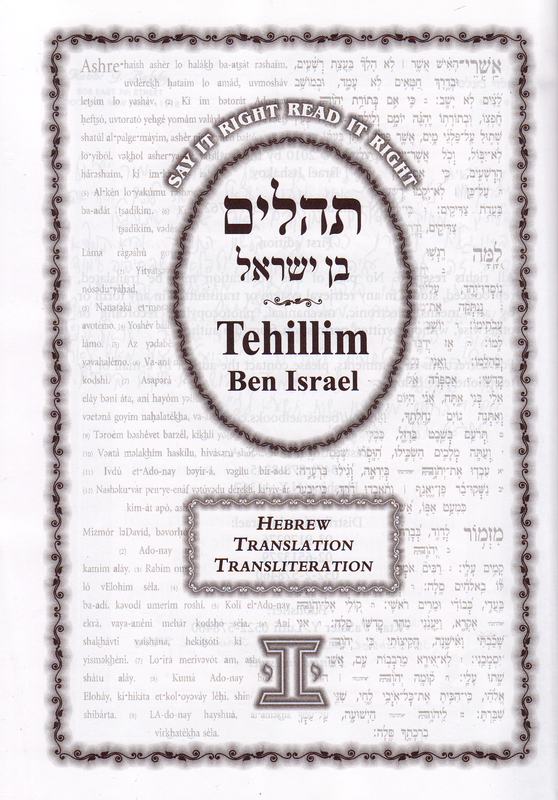 Request before reciting Tehillim, Request after reciting Tehillim. Dedications. Comments: Hardback, large octavo, sewn binding. (18), 264 double & (28) pp. Details about the English translation are not given; it has definitely Jewish characteristics as Psalm 1:2 translates, “But the Torah of Hashem is his desire“, compared to the traditional Christian “but his delight is in the law of the LORD“ (NASB). 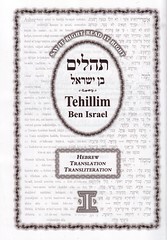 The English translation ranks third, the primary aim is the text of the Masora (Hebrew, punctuated) and its transliteration into Latin letters. A concise key of how the Hebrew is pronounced is located in the footnotes. The English has verse divisions, every psalm is briefly introduced. The Masora is on the right, transliteration and translation on the left side of the open book, which, of course opens from behind. A clearly arranged bookmark accompanies the reader with all necessary explanations for reciting Tehillim.